Atlanta Art Blog abandoned all objectivity last Saturday and indulged our deep and unholy greed by participating at the Free Art Decatur event. 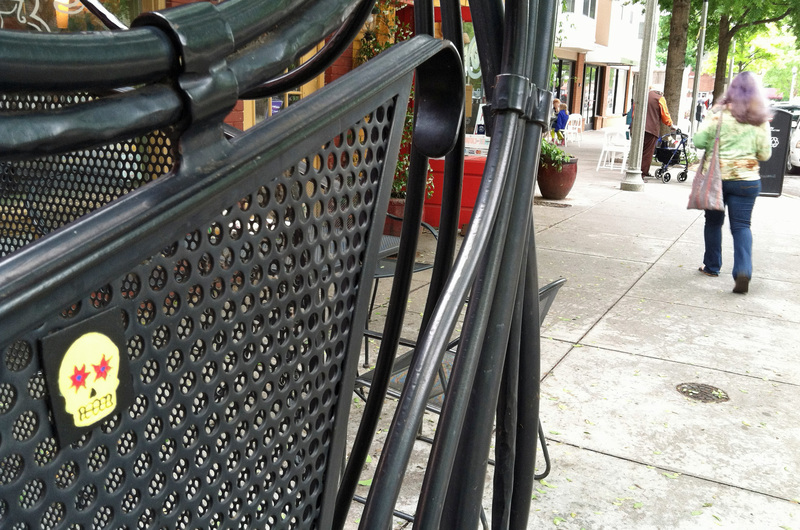 Free art would be hidden around Decatur. We would find it. And keep it. The event was supposed to begin at 2:00 p.m., but we were scanning Twitter (#freeartdecatur) for clues immediately after our cheapskate lunch in the industrial workshop known as the cafeteria at DeKalb Farmers Market. 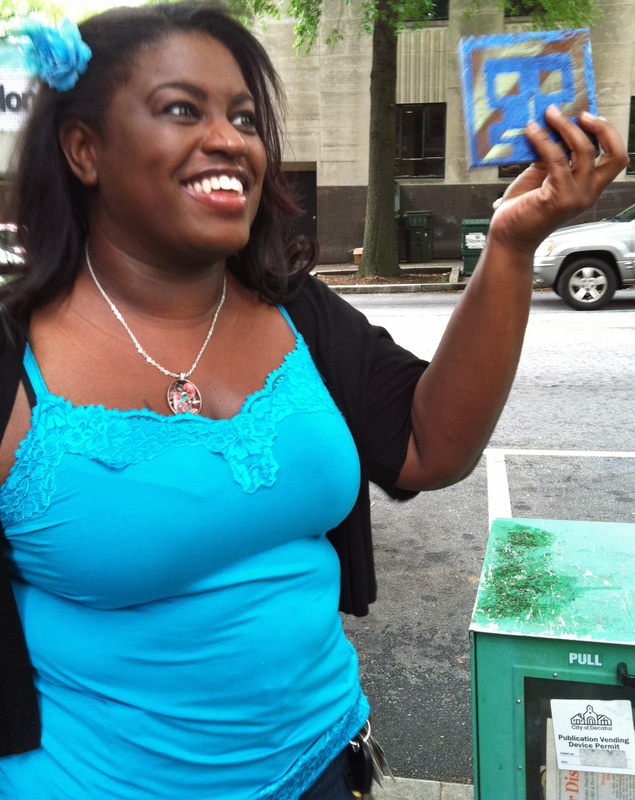 As we turned onto Church Street, we scored: Right in front of Java Monkey, a death’s head by @DeadATL. Awesome. This was just the beginning. By the end of the day we would most assuredly possess enough art to fill the bleak and barren break room. Then suddenly there were no clues, and we were on foot next to Decatur’s strolling families, its students, its yuppies. We searched everywhere for art. Is that free art there? Is that free art over there? We took a break in front of the Seen Gallery. It calmed us, just sitting on the bench outside its locked door. Completely clueless, we strolled. 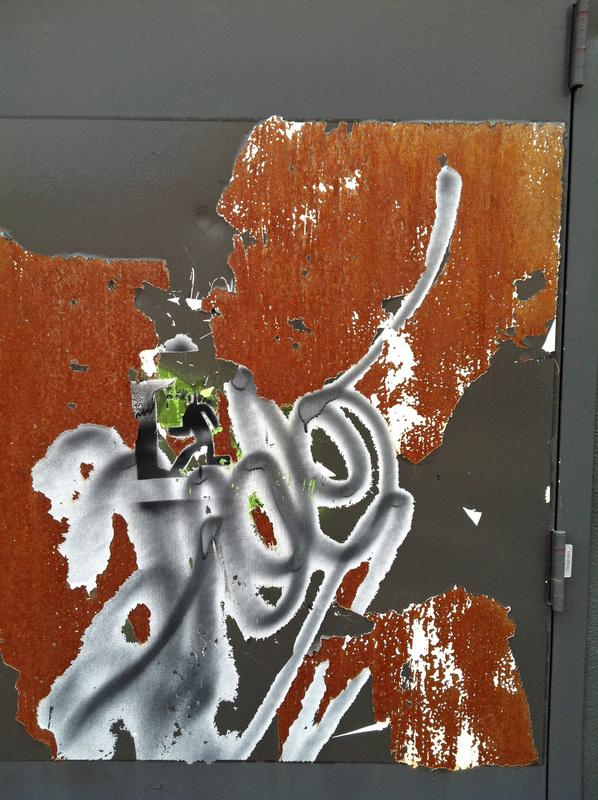 We began to notice twenty-somethings snapping photos of strange corners. Was that an artist? We snooped into the back alley next to the dance studio on Decatur Square. 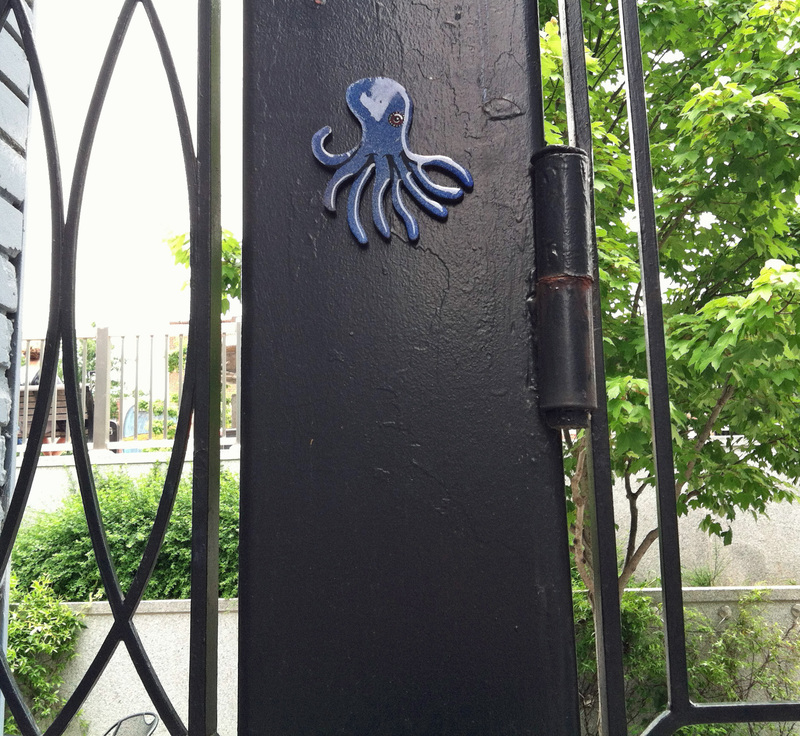 And there in the alley, adjacent to a large mural by S. Parker, we found our second piece, a Cycloptopi by @Larryholland1. The Cycloptopi is the great symbol of Art Greed, with its all-seeing eye and its arms for grabbing. Alas, all sorts of mental distractions soon interrupted our hunt. But not before we met the great art hunter known as Britney. The hour of Two O’clock had barely had enough time to stand up and yawn, and Britney had already found about six different pieces, was talking a mile a minute, and couldn’t contain her excitement for more. Her friends, Paris and Nate the bearded one, cruised closer to our speed than Britney did. 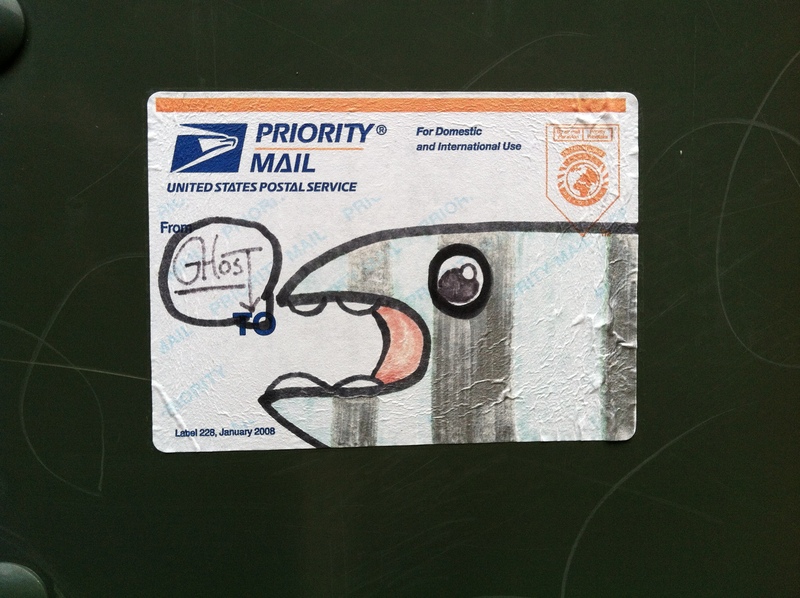 This entry was posted in Art in Atlanta, Uncategorized and tagged art hunts, DeadATL, Decatur Georgia, evereman, Free Art Decatur, Ghost, Greed, larryholland1, street art on May 21, 2013 by Bryan Alexander. I was there, too. I have been a successful finder on multiple occasions in the past, and was eager to see what else there was. Alas, nothing.